Judo Lang Park | Brisbane City Judo. Your Judo home away from home. Brisbane City Judo. Your Judo home away from home. 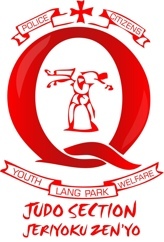 Welcome to Lang Park Judo Club! Look no further for a Judo Club in Brisbane! Our Judo Club is located right on the edge of Brisbane City itself. Easy to get to and from. 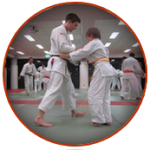 Have a look around our site, then drop in for some training…..Brisbane City Judo style. Visitors are always welcome. Let us be your Judo home away from home in Brisbane. Judo is not only a sport (an Olympic Sport at that), it’s a Martial Art that can be used for recreational or social activity, fun and fitness or as a practical form of self defence. Judo was first founded by Dr Jigaro Kano in 1882. He took what he considered to be the best techniques from the ancient art of Jujutsu, refined them and developed new techniques. As a result Judo has evolved into the modern martial art and sport practised world-wide by millions today. Judo is famous for its spectacular Throws, but also involves Grappling and Hold-down techniques. Senior players also use techniques of Arm Locks and Strangles. Judo literally means “gentle way” and teaches the efficient use of balance, leverage and movement, rather than brute strength to overcome an opponent. Judo teaches you to use an opponent’s force against them rather than to meet them head-on, thus giving a smaller person the ability to overcome a bigger, more powerful person. An aspect often overlooked as a benefit of Judo training is the technique of Break Falling, and these have many practical applications for sports or activities other than Judo.